Chickadee is a New England born and Mediterranean inspired restaurant situated in the heart of Boston’s Innovation and Design Building. 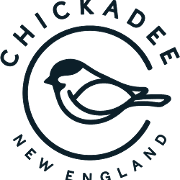 Named after the state bird of Massachusetts, Chickadee is a collaboration between long time friends and industry veterans, Chef John daSilva and Ted Kilpatrick. We offer a seasonal menu highlighting ingredients from local farms, markets, and producers. Our full bar boasts a strong cocktail program that draws inspiration from the kitchen. We also offer a thoughtfully curated wine list and a selection of local, craft beers and ciders. We here at Chickadee are big on having fun, while maintaining a standard of excellence when it comes to the guest experience.